Quamrul Abedin (b. 1987, Bangladesh) is a documentary photographer based in Dhaka, Bangladesh. He started as a freelance commercial photographer on and off since 2009 because of his academic studies in Textile engineering and merchandising profession. He enrolled into B.A. in photography at Pathshala- South Asian Media Academy, Bangladesh on 2010 and finally switched to full-time professional photography since then. Quamrul attended several local and international workshops such as (a) International Reportage workshop by Philip Blenkinsop & Max Pam at Cairo, Egypt in collaboration with Pathshala- Bangladesh, Oslo University College- Norway & Contemporary Image Collective, Egypt in 2013 and (b) Workshop on visual story telling by Morten Krogvold in collaboration with Pathshala, Bangladesh & Bjerkely Folkehøyskole, Norway 2011. His photos has been showcased in national and international photography exhibitions such as “Self-discovery” in Chobimela VI(2011) and International Inter-University Photography Exhibition (IIUPE,2012). 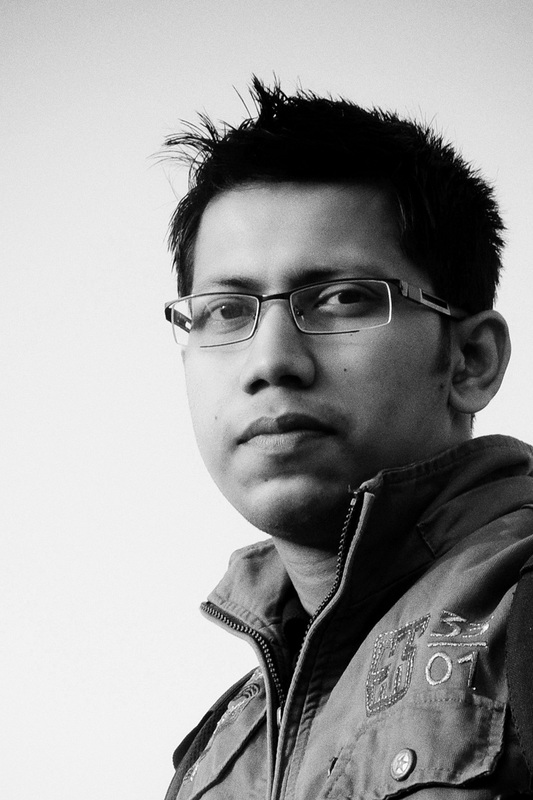 His photos have been published in national daily newspapers, such as- The Daily Prothom Alo and The Daily Star. His portrait photos for “Anannya Shirsho Dosh” book is under process for publication. Quamrul Abedin is currently on the verge of graduating from Pathshala, working as a contributor photographer at T-mag- A supplement with The Dhaka Tribune- A leading english daily newspaper and working on his ongoing documentary projects – “Corporate Clones”, “Silent Solitude”, “Existence Exiled: Baha’is in Egypt” and “Institution of Marriage – Divine or Social” as well.